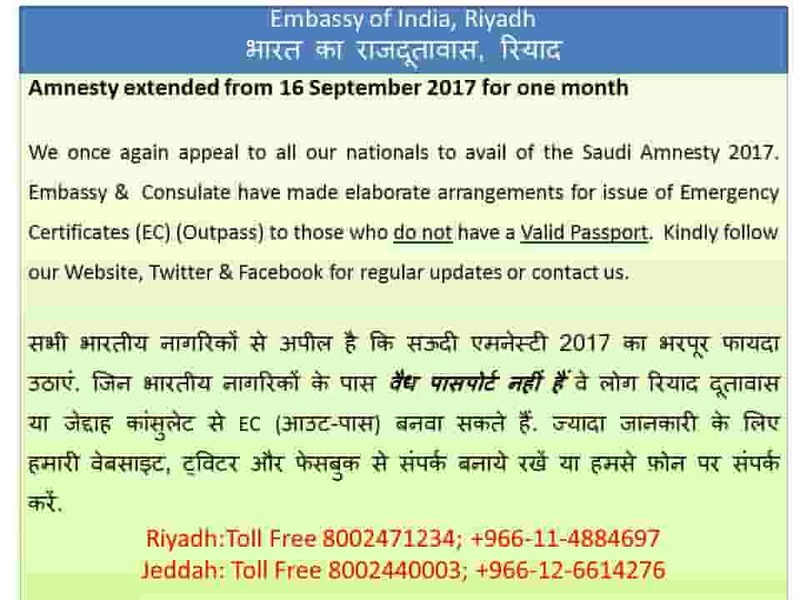 Good news for illegal Indian expatriates living in Saudi Arabia, The Indian Embassy in Riyadh announces the extension of amnesty period for one month starting from 16th September 2017. Embassy of India in Riyadh posted the following details regarding the new Saudi Campaign "Nation Free of Violators" amnesty period on its twitter account for the illegal Indians living in the Kingdom of Saudi Arabia. Who is going to benefit from the new Amnesty period which is starting from 16th September 2017 to one month. 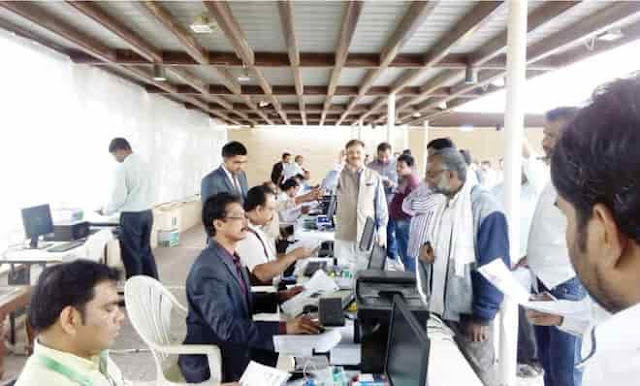 - Indian expatriates whose Iqama's or residence permits are expired. - All the Indian people in Saudi Arabia who are undocumented or do not have any document with them. - Hajj Violators, Who did Hajj with out permit and caught for deporting. The following message is also posted in the twitter account of Indian Embassy in Riyadh. 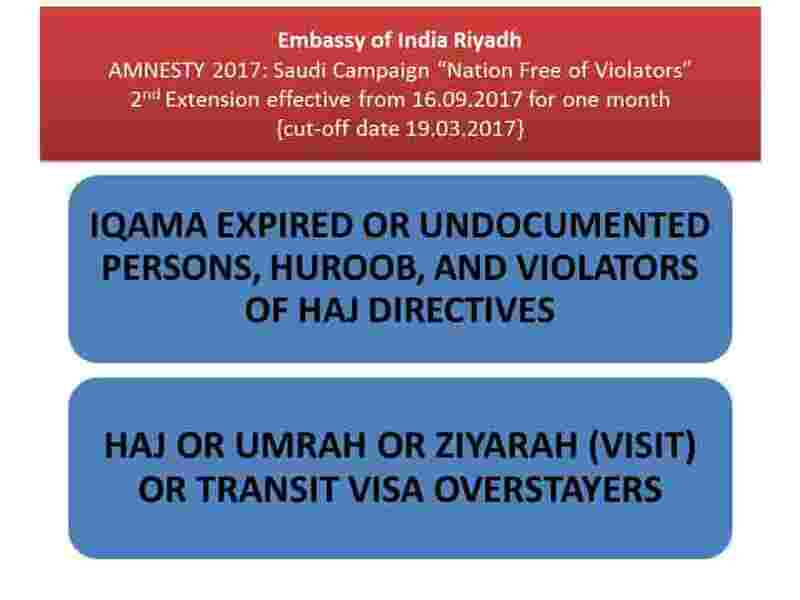 We once again appeal to all our nationals to avail of the Saudi Amnesty 2017. 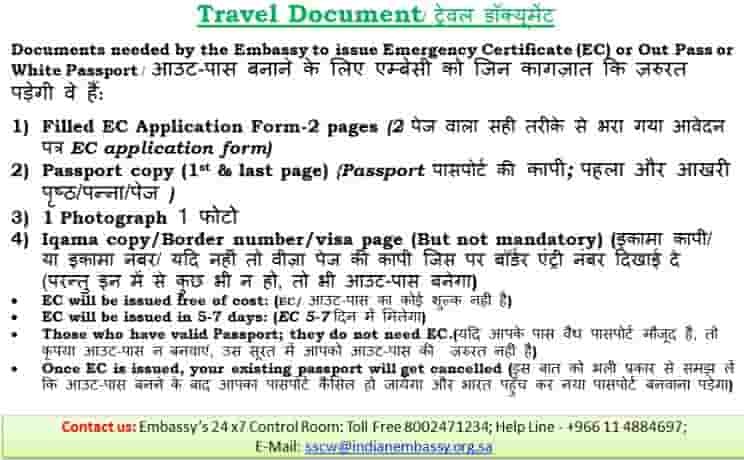 Embassy & Consulate have made elaborate arrangements for issue of Emergency Certificates(EC) (Out pass) to those who do not have a Valid Passport. Kindly follow our Website, Twitter & Facebook for regular updates or contact us. Documents needed by the Embassy to issue Emergency Certificate(EC) or Out Pass or White Passport. 1. Filled EC Application Form-2 Pages. 2. Passport copy (1st & Last Page). 4. 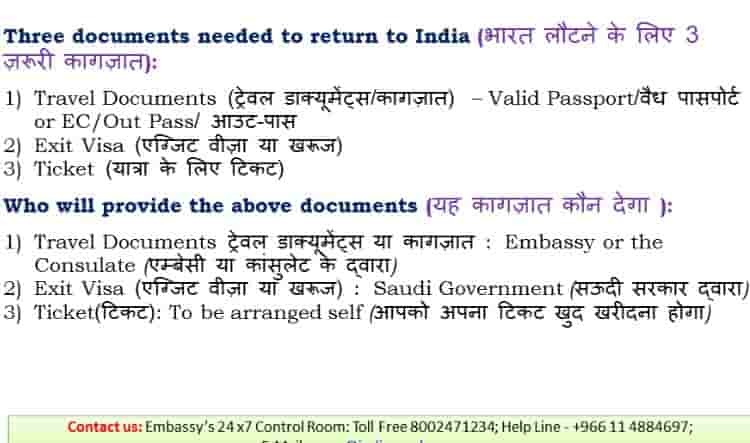 Iqama copy or Border Number or Visa Page (But not mandatory).